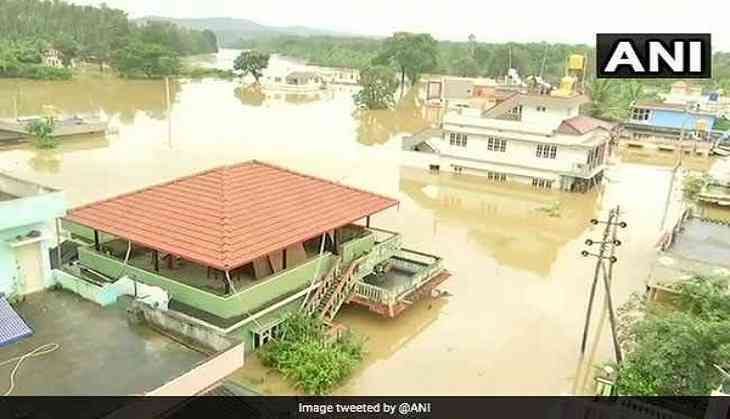 A small town between Madikeri and Kushalnagar in Karnataka, brought together a Church, temple and a Madrasa to provide shelter to those affected by the floods, proving that even in trying times of misery and devastation, humanity transcends all barriers of discrimination. The small town of Suntikoppa has emerged as the biggest relief camp, even after not being affected much by the rain or flood. Even though the town itself was not affected much, the villagers decided to rescue people from the neighbouring villages who were affected by the flood. Almost 400 people have taken shelter in the Temple, 200 in the Church and more than 300 people in the Madarasa. The sheltered people are being served food in these makeshift relief camps, where food for all is being cooked in the same place. Incessant rains have lashed Karnataka since August 14, causing landslide and flooding in the state. On August 15, a high alert was issued in five districts namely Kodagu, Dakshina Kannada, Hassan, Chikkamagaluru, and Shivamogga.